President Trump’s proposed budget released Monday reinforced the emerging theme, with cuts of $17 billion from the nation’s food stamp program, known as SNAP, next year. WASHINGTON — Republicans, flying high after big victories on tax cuts and military spending increases, are turning their sights to shrinking the nation’s safety net, targeting food stamps, Medicaid, and other social service programs for poor Americans. President Trump’s proposed budget released Monday reinforced the emerging theme, with cuts of $17 billion from the nation’s food stamp program, known as SNAP, next year and a claim that “millions of Americans are in a tragic state of dependency” on the federal government and should be funneled into the workforce. Trump’s plan dovetails with proposals from House Republicans to reduce spending on entitlement programs, an initiative that House Speaker Paul Ryan recently branded as “workforce development.” GOP lawmakers acknowledge the phrase could make slashing eligibility more palatable to the broader public by focusing on the job requirements and job training aspects of their plans. Presidential budgets are more likely to be used as door stops than as legislative blueprints in Congress, which jealously guards its power of the purse. 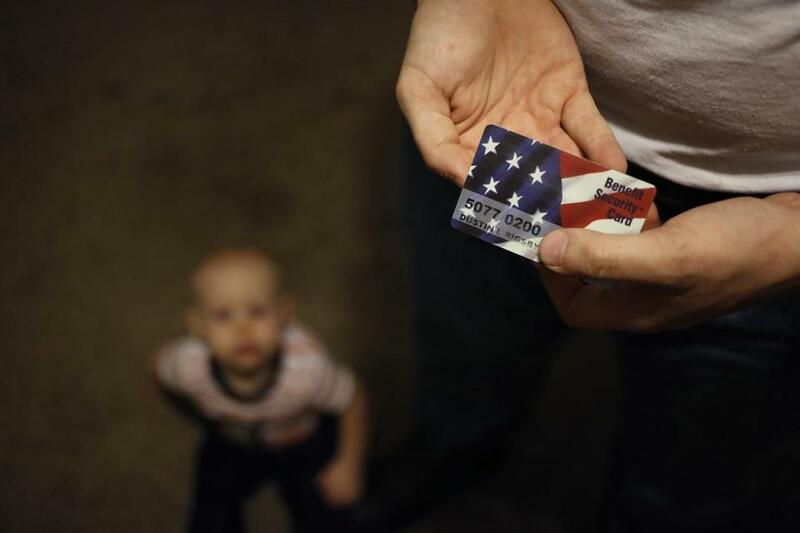 But Trump’s support for cutting food stamps lends much-needed political momentum to House Republicans, who have had a hard time persuading the more moderate Senate to take on the safety net in an election year. “You can tell [Trump] understands it, you can tell he gets it,” said Republican Representative Jim Jordan of Ohio, who introduced a bill to stiffen job requirements for food stamps and other entitlement programs in the House over the summer. The budget calls for steep cuts in domestic programs and entitlements, and large increases for the military. The recent budget deal, passed late last week, increased federal spending by hundreds of billions of dollars over the next two years and sparked Senator Rand Paul of Kentucky to blast his fellow Republicans over their deficit hypocrisy. That criticism has also increased interest in cutting spending on entitlement programs such as Medicaid and food stamps. The first piece of the plan is to tighten work requirements for food stamps in the new Farm Bill, which is likely to come up for a vote over the next six months. 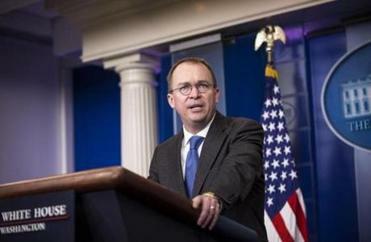 In his budget, Trump has also asked for a significant chunk of food stamp money to be delivered to the program’s 43 million recipients in the form of a box of food from the Department of Agriculture instead of money loaded on a debit card to be spent at the grocery store. Jordan is also pushing to tighten work requirements for Medicaid and public housing. Trump’s budget would cut rental assistance for poor people by nearly $1 billion and calls on Congress to pass legislation to require able-bodied tenants in public housing to work. Trump also seeks $250 billion cuts in Medicaid, the state-federal program that provides health coverage for low-income people and others. The broad effort to cut entitlement spending and require that recipients work was aired earlier this month at the GOP lawmakers’ annual policy retreat at the tony Greenbrier resort in West Virginia, where the lawmakers at an hourlong workshop discussed mandating new work requirements as a condition for receiving aid. There, Tarren Bragdon, the president of a think tank that pushes for welfare overhaul called the Foundation for Government Accountability, presented findings from a poll he commissioned that suggested more than 80 percent of Americans would support requiring people to work or volunteer in order to receive food stamps or public housing. Seventy-five percent backed work requirements for Medicaid. The poll showed that while Americans are more skeptical about changing Medicare or Social Security, which benefit older Americans of all income levels, they are open to reforms to social safety net programs designed for the nation’s poor. Calling welfare reform workforce development was an attempt to make the notion more “palatable,” according to Representative Mark Walker of North Carolina, head of the Republican Study Committee. But the branding is still up in the air. Ryan is also not pitching the program to fellow House Republicans as a way to cut costs, even though many GOP lawmakers say they are eager to find a way to reverse their deficit spending spree so far. Any move to cut food stamps and other antipoverty programs would face fierce resistance from Democrats. But Republicans in the House who are leading the effort describe the changes as morally necessary — a way to ensure that people in poverty have a chance to move out of it and climb up into the middle class. Ryan has talked about reinvesting the savings from people who stop collecting benefits into job training programs. “What we have to do is change an entire culture of thinking so that the government is there to maybe be a bridge sometimes but it’s not there to be your eternal resting place,” Walker said. Walker sees welfare changes as part of a “profamily agenda” that includes reducing the high number of incarcerated people in the country. He is expecting a “backlash” once Republicans begin tackling the issue but thinks Americans will eventually be sold on it. Even if the House adopts Trump’s ideas on food stamps, it is unlikely that every Senate Republican plus nine Democrats would sign on as well, which is what it would take to pass the Senate. When President Clinton sought stiffer work requirements for temporary cash assistance for poor families in the 1990s, a Republican-led House crafted a bill that both parties backed.